Soft Close Drawer Slides. 12 inches to 22 inches. 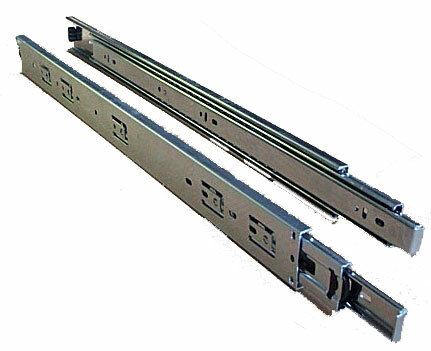 These are user friendly as they are manufactured much the same as the full extension drawer slides that have been around for many years. Follow the link below for more info on these soft close drawer slides. Please see our soft close drawer slides here. Full extension slides are very heavy because they are made from steel. We keep the shipping cost down as low as possible. As you can see the pricing on our slides is very low so be sure to look at the total cost with shipping when shopping elsewhere.